Attention All Writers and Bloggers! You Ready To Become A Published Writer? Well, now is your chance to get all those words out of your head and into your own published book. If you have written an Ebook, why not a WEbook? So Tell Me, What is WEbook? You are being introduced to a brand new, one of a kind, online book publishing company. This is a revolutionary move for book publishing. This is a groundbreaking era of User Generated Books. Music has become a major part of the web, WEbook will become a major influence in the marketplace for writers to earn revenue from their writings. They will be able to sell their work in markets such as Barnes and Noble and Amazon. WEbook will be working with the mainstream in marketing these books. Along with the marketing, they will also be providing some great give-aways via the web and mobile phones. Excellent and bright! This model, who is funded by Greylock Partners along with some other individuals, hopes to be the web’s leader in this type of media industry. If you haven’t noticed, there have many collaborative publications and wiki’s that have been steadily making themselves known. You will begin to see projects like this start showing up in several media forms, the majority being creative writing. What a great forum for wanna-be writers to begin to use their talents, to fulfill their dreams of becoming a published author. Just imagine, with all the talent we have here on the web, bringing them all together, meeting and communicating with each other, exchanging creative ideas, the possibilities are endless. It doesn’t matter if you are a fiction writer, or non-fiction, short stories, children’s books, thrillers, and so much more. This is who WEbook will be about, all about YOU! WEbook is you, your best friend, your neighbor, your uncle who has been working on that thriller for years. It may be your buddy who thinks he only knows how to blog and that’s it. This is for anyone who has a creative mind and loves to write. Why Not? This is a great chance for a broad community of writers to come together and finally become known for their talents. You may have written several Ebooks, or essays, or even a great article writer, but who knows this besides you? Don’t you think it is time for you to be an author and see your creative works published and be able to earn revenue on it? Just start writing, add one sentence to another. If you have an idea, start writing, don’t stop to make corrections, just write, let your creativity flow. Short articles become chapters, chapters become books. Have your family or friends look over your work, do some editing where needed. You will find out tons more information on their website. Come and and be the first join this great new revolution of online book publishing. You are destined to be a success! Another Social Networking site to check out! Hi5 has just announced the birth of its developer platform as a well supported open social network. This is extremely popular in Latin America, and has become a founding member of a non-profit organization �OpenSocial Foundation�, which was announced last week by Google, MySpace, and Yahoo. Hi5 has a very interesting platform in which this is the first OpenSocial supporting network that offers API messaging. This means that this site can include invitations, notifications, friend updates, and any other methods that will benefit your viral marketing techniques. This is a function that is not currently being offered on MySpace. So far, hi5 has announced that almost 8,000 developers have registered to build some great applications on this site. They are able to do this through their canvas pages. Can I Use RSS FEEDS To Increase Traffic? Traffic is something we all want when it comes to our websites and blogs. There are a variety of ways to do this, but the one method that is rising to the top is through RSS FEEDS. I recently wrote an article on “what is an RSS feed, and how to Set them up“. Here is the followup article to that. If you haven’t read the first one yet, click here to do so now. What does RSS stand for? RSS stands for Really Simple Syndication or Remote Site Syndication. They both mean the same thing, so it doesn’t really matter what you call it. No matter the name, it works as a great traffic generating tool. You could go to any popular news website and see the feed options. This is a great way to stay on top of the latest headlines and news all over the world. How Do You Get RSS Feeds? You subscribe by clicking on the RSS button, then you will automatically get the news into your reader, or a reminder on your homepage. This is a simple way to stay in touch with your favorite websites and blogs. Are there advantages to RSS over Email Marketing? Yes, and the main advantage is there are never any spam complaints, you have a 100% deliverability without any of the problems. You can usually count on your message being delivered to the readers. When you have set up your RSS feed, you should submit it to the RSS FEED directories. Your message will have greater exposure to readers. You can do this in a matter of minutes then gain all the benefits. A great site to read up on this is rssfeedgenerate.com. Here you will find some great instructions on the “How To’s”. Another recommendation is to check out Mashables RSS Toolbox. Does RSS Help Search Engine Rankings? RSS is a fantastic tool for increasing rankings on the search engines, that is if you have it on your website. You probably already know that search engines love the websites that are continually updating their content, and the RSS Feeds will help your website to accomplish this. You will therefore achieve higher rankings on the search engines as well as increasing your website traffic. This is a win-win situation! The keys to making money on the Internet is to increase your traffic and build up a mailing list. You can do this by using RSS Feeds, if you don’t take advantage of this great tool, you will be missing out and tons of opportunities. There are 5 Key Points in using RSS Feeds to help you monetize your website and bring in lots of traffic. Learn how to use RSS Feeds, If you aren’t sure how they work, educate yourself, start using this great tool and become familiar with it. Attach links from other blogs and websites which will increase your your own popularity and traffic to your links. Once you set up your RSS Feed, submit it to the RSS directories. This will increase your search engine ranking and increase the popularity of your link. Keep your RSS Feed up to date which will have your site indexed by the search engines frequently. Take advantage of the RSS Press Release. You will be able to use this instead of email marketing, helping you to spread your information and news to your readers the moment it comes in. This is great for real-time advertising. Let’s say for example that you have a client that wants a particular product that you currently out of. You can use RSS to notify him when it comes available. Your customer will be well served and this will increase their loyalty to you. You will be taking care of your clients which will bring more money to you. It is so important to create your own Brand! You are establishing your own credibility which is huge in this business. You will be putting your name out in front your readers just by using RSS Feeds. You will eventually become a trusted source of information. You should now have a few ideas on how RSS Feeds can be used to generate traffic which is the key to your success. What Do You Know About Time and Business? According to StartYourOwnBiz.com they have come up with some great advice on managing your home business. This is a site that will give you more tips on getting started with the basics. You cannot expect to get great results unless you are devoting the amount of time needed, you just can’t set it up, then hope that it runs itself. Are you serious about working at home, making a success out of a home based business? If you are, and really want to make some money in the process, you will need to become a wonderful time manager. It is hard enough to manage the home itself, then you add in the kids, errands, etc…and you can see your time gone, out the window. If you are serious about being a success, making this home business really work, you will not be able to use the Lack of time as an excuse. You are going to have to make a strict routine in order to help you manage your time. There is an old saying �If there is a will, there is a way�. You will be amazed at the extra time you can create just by organizing your work and home routines. 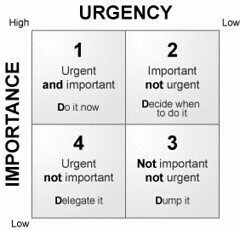 Take a look at your typical day, where to do you spend your time and is it on things that are necessary? Ask yourself in which areas you can slice off 15 minutes here and there. If you spend a lot of time in preparing meals, how can you make this more time efficient. Plan your errands in advance, giving yourself enough time to complete them instead of feeling rushed. Teach your children to be self-reliant and self-disciplined, which will free up much of your time. You can give your older child the responsibility of helping with the younger children while you are ‘at work’, and reward them for their help as well as their understanding. The things listed above are not the only time mongers; there are the chores of gardening, shopping, bill paying, visiting with your friends and relatives, chatting on the phone, and don’t forget, just simply browsing the Internet and reading emails. All of these things can take up a lot of your time throughout the day. You will find these things a bit difficult to change in the beginning, but you will for sure see the importance and recognize how much time you are losing each day. 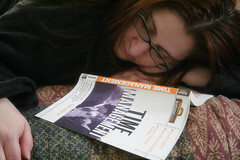 By implementing a time management regimen, you will find the time you need to make your home business a success. What Was Your April Fools Day Like? April Fools Day is always at great day because you can play all types of pranks on your buddies, but with the Internet, it can be a blast! I did some looking around and I found some great information about one of the largest gaming industries and the pranks they played. This company would be none other than Blizzard, the top gaming industry on the web. According to Shack News, Blizzard Entertainment posted quite a few hilarious pranks on their website. One of the most popular of their spoofs was “PC MMO World of Warcraft will hit Atari 2600 in the form of World of Warcraft: The Molten Core.”…This was a very clever, and yes, extremely funny and entertaining bit of advertising. You feel like you are back in the early days of Pac Man again. If you have not checked it out, you need to do it soon. Are You A Fan of Guitar Hero? Another one of my favorites was Blizzards news of bringing you a Guitar Hero type character to the amazing new expansion to World of Warcraft called Wrath of the Lich King, along with its plans to marketing a pinata that can be a bit dangerous for any child, even adults for that matter. This is a Pinata that you would never allow your child to swing at. Remember folks, this was only a joke. Ever thought of living on Mars? Here Richard Branson, founder of Virgin along with Google co-founders Larry Page and Sergey Brin will be breaking a new frontier in the greatest adventure of our lifetime, a first for all to witness, The Adventure of Many Lifetimes; the first human colony to ever live off of this planet, the first to live on Mars. This was great; they even had a test you could take to see if you would qualify. Who knows… it could happen! And finally, the greatest one of all, at least if you are as fed up with the whole political race as I am…the Hillary and Obama Deathmatch as seen here on ESPN’s website. It’s just too bad there wasn’t something that exciting really happening. According to the information on this website, Hillary and Obama would be able to settle the race by winner taking all, the loser heading home with his or her head hanging low, with a good ole deathmatch. There would have been several events which is officiated by Ron Paul, the Libertarian candidate. Check out the website for the cool challenges that could have happened. Leave it to the Web to make April Fools Day a fun one, and I can only imagine what they will come up with next year.